Take a Specialty Instructor training course with our Course Director and you don’t need to wait until you have issued 25 certifications in order to teach a specialty, and you only need 10 dives in that area to qualify, not 20 required by the direct application method. You’ll also save money on your application to PADI! Our PADI Course Directors have trained over several hundred PADI Specialty Instructors in the last few years and all have commented that this additional training has made it easier for them to find employment, especially after taking their PADI IDC with us on Utila. Choose from Deep, Night, Navigation, Enriched Air, Gas Blender, Photography, Wreck, Sidemount, Equipment Specialist, Naturalist, Search & Recovery, Videography, Diver Propulsion Vehicle, and Emergency Oxygen Provider distinctive specialties. We also offer dive safety training through ‘Divers Alert Network’, adaptive teaching techniques with disabled diving agency IAHD, boat handling qualifications with IYT and marine biology training through ‘Beautiful Oceans’. 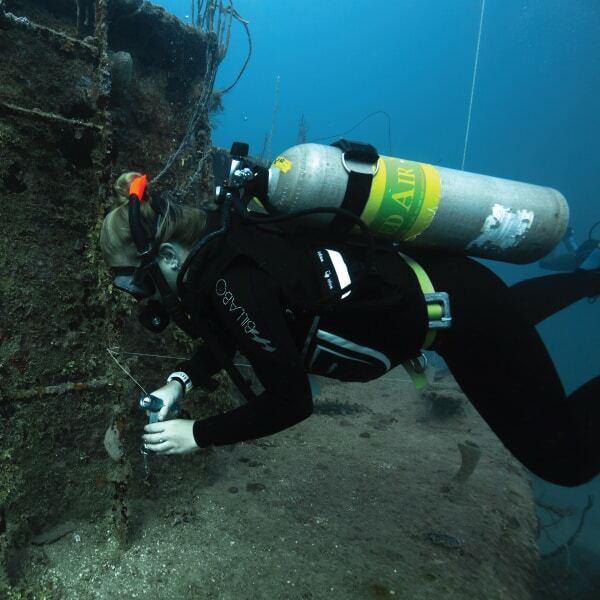 No other facility in Central America or the Caribbean can offer such a diverse range of continuing education courses or have the Course Directors or support staff qualified or committed to teach you how best to succeed as a dive professional!